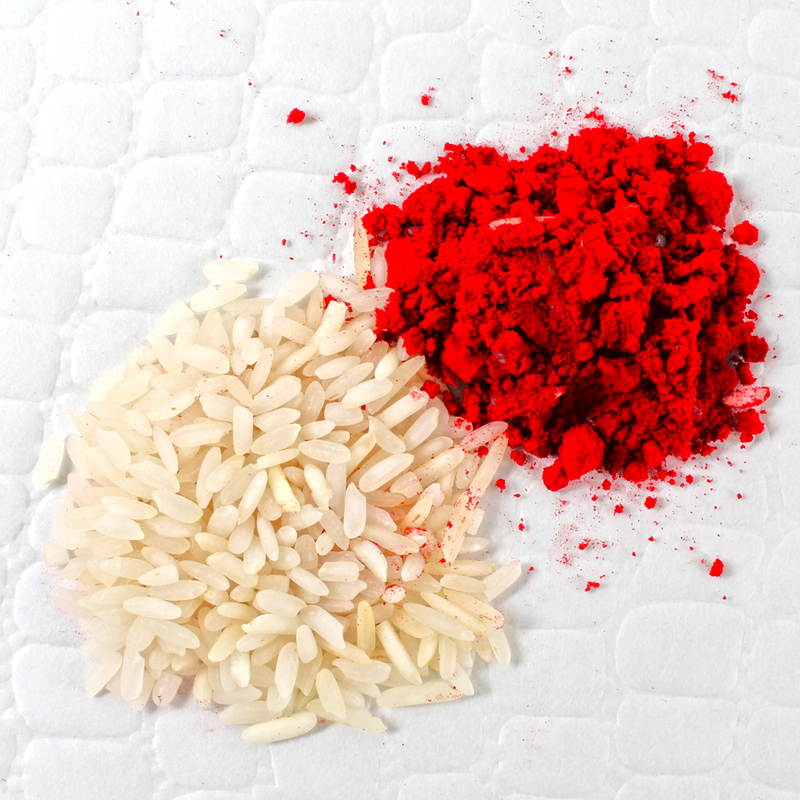 Ganesha Floral Design Rakhi along with Roli Chawal. 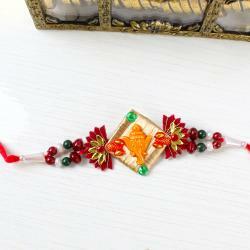 The Rakhi is the lovely occasion for brother and sister. 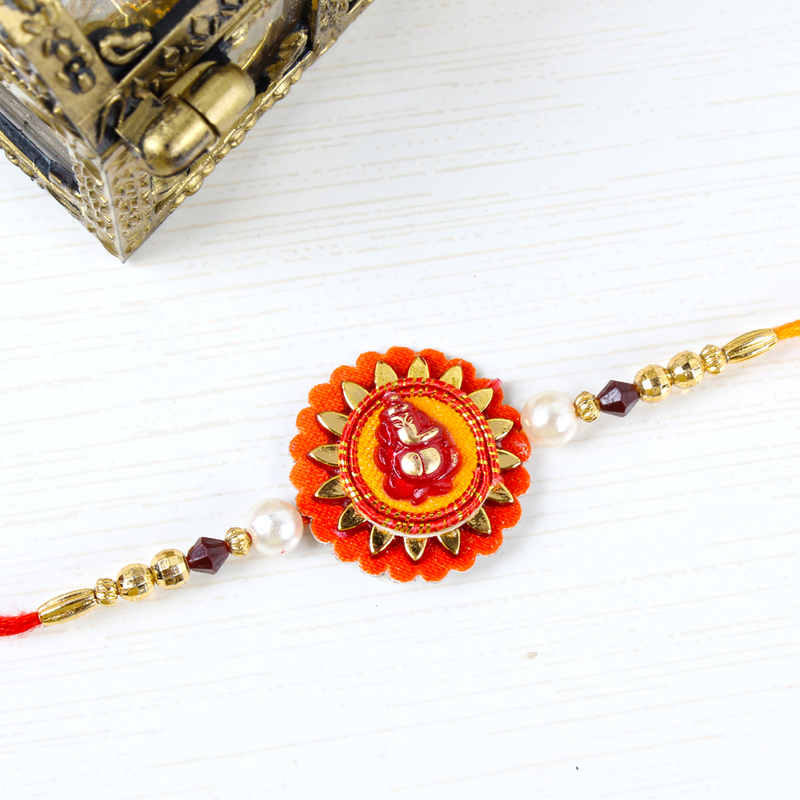 Raksha Bandhan is around the corner you should definitely look to treat your brother to some amazing rakhi in gift like this one. Your brother will be touched by this display of love and affection from sister. Raksha Bandhan can be made more special to this exclusive Rakhi which is designed amazingly in addition to the traditional Roli Chawal. 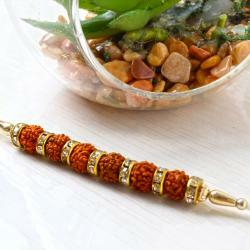 Rakhi is looking like ideal of Ganesha which is designing with some small beads, pearl and decoration balls on thread. 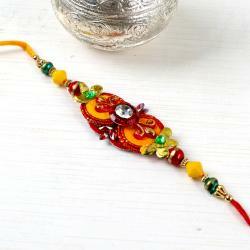 This Rakhi will give good attract to your brother wrist from sister. 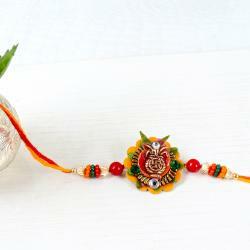 Product Includes : Ganesha Floral Design Rakhi and Roli Chawal.